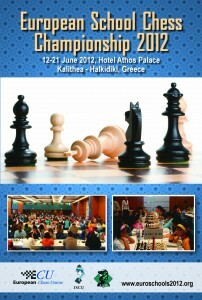 A double round has been played on day 2 of the European School Chess Championship in Kallithea (Halkidiki), Greece. 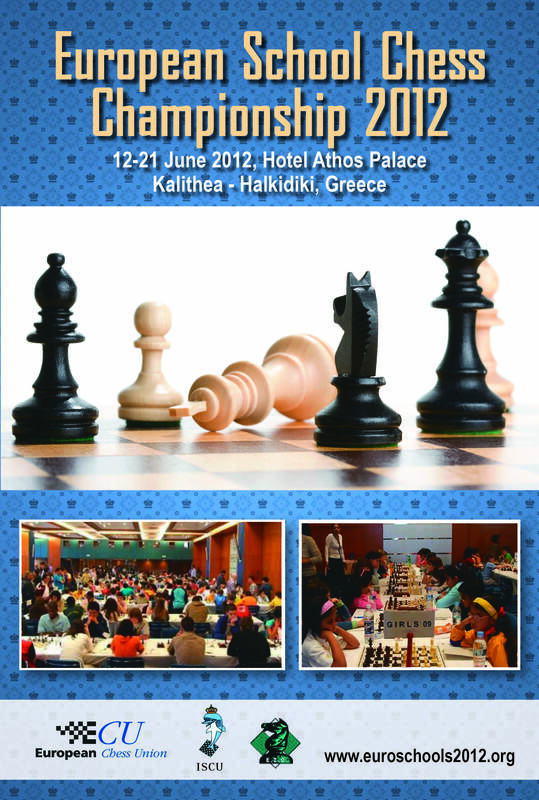 After a long day CM Cankut Emiroglu and Agil Pirverdiyev came on top of the U17 group with 2,5/3, winning their R3 encounters. In the U15 we also have two leaders – CM Vahap Sanal and FM Ali Marandi Cemil Can, this time with full 3,0/3 points. The U13 group followed suit and two players with perfect score are sharing the lead Volkan Sevgi and Bulat Murtazin. One of the largest groups of players is the U11 section. In the boys division Andrey Esipenko and Karacan Can Berk continue undisturbed with 3,0/3, in the girls division we have four leaders, with the rating favorite following just 1/2 points behind. Uzumcu Ahmet Utku, Tarlabasi Emirhan, and Unlu Alp Bugra lead U9 boys section with 3,0/3, a full point ahead of competition. The U11 girls section has a sole leader – Ksenia Strukova. Among the youngest Wassel Bousmaha and Vladimir Anchikov head the field with perfect score.